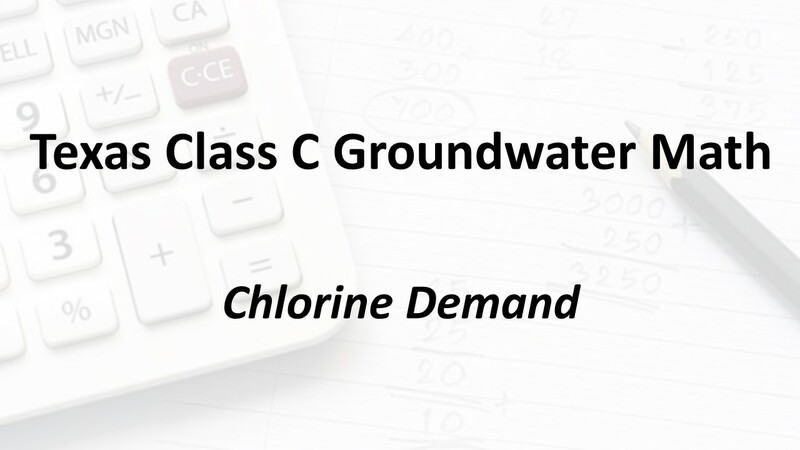 Learn how to solve Chlorine Demand problems in this video. This is an example of our Five-Step Approach to solving math problems. Take a FREE Class C Groundwater Practice Test. If you are preparing for a Texas License exam, you may be interested in our FREE Exam Tips or in signing up for one of our Texas Exam Prep courses.